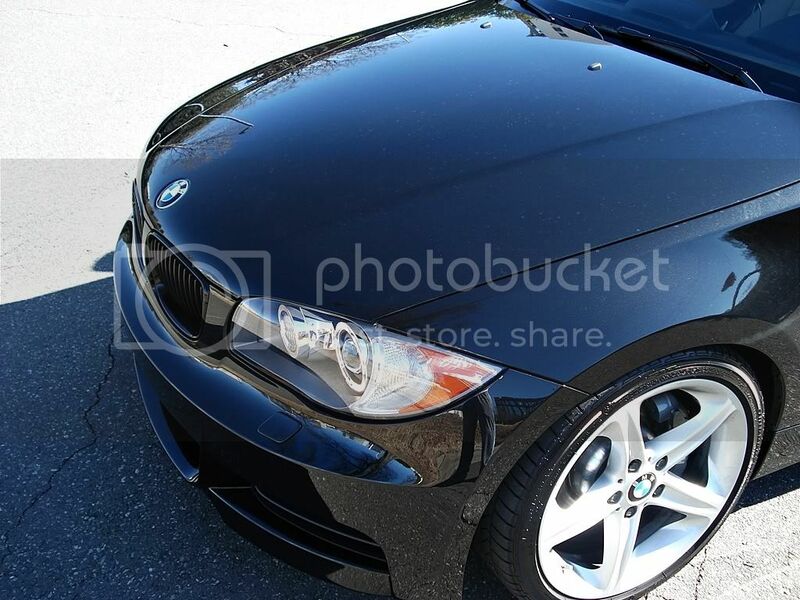 Pics: Picked up a new 135i Coupe!! Discussion in 'E81/E82/E87/E88 (2004-present)' started by mtechnik, Jan 23, 2011. 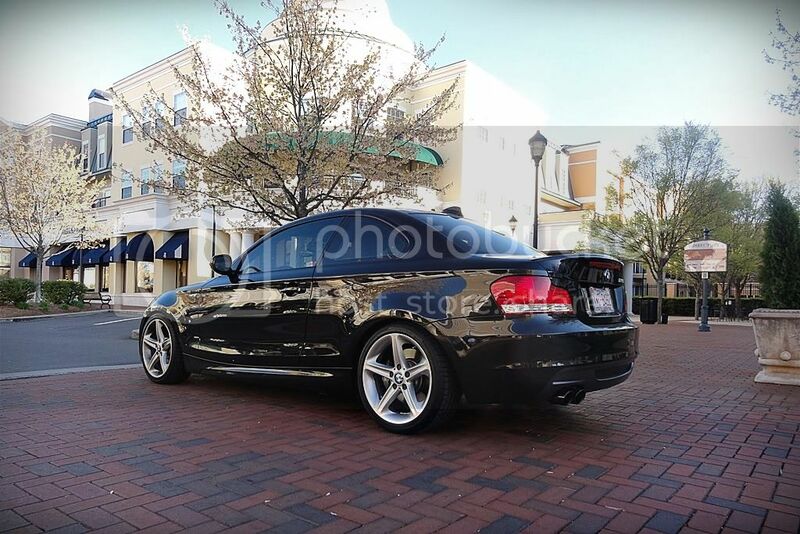 Recently picked picked up a new Black Sapphire Metallic over Savanna Beige Leather 135i Coupe from Hendrick BMW in Charlotte. I'm 6'3" and this car is comfortable and an absolute joy to drive! 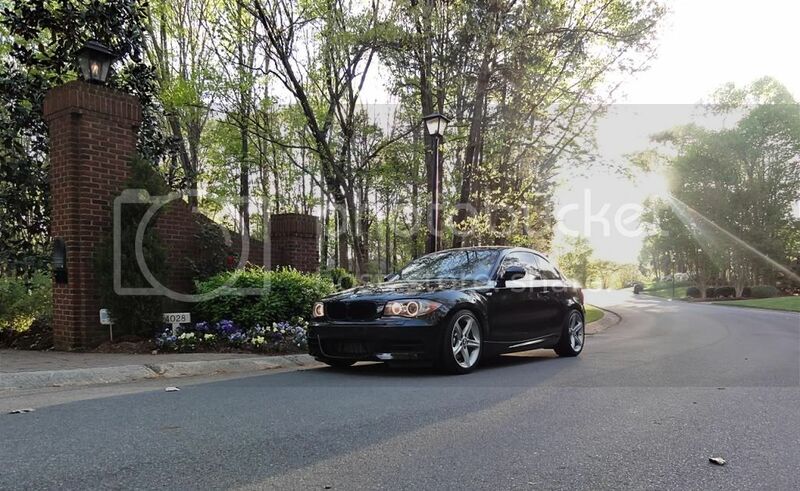 I came out of a 2008 E90 328i with sports package. 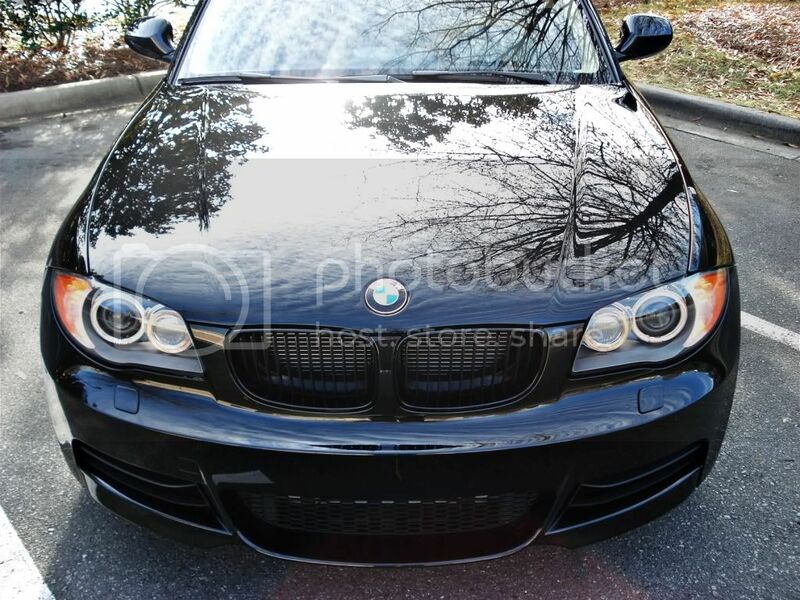 I installed OEM gloss black BMW Performance grills and Macht Schnell spacers (15mm F, 12mm R) for a wider stance. Looks much better now. 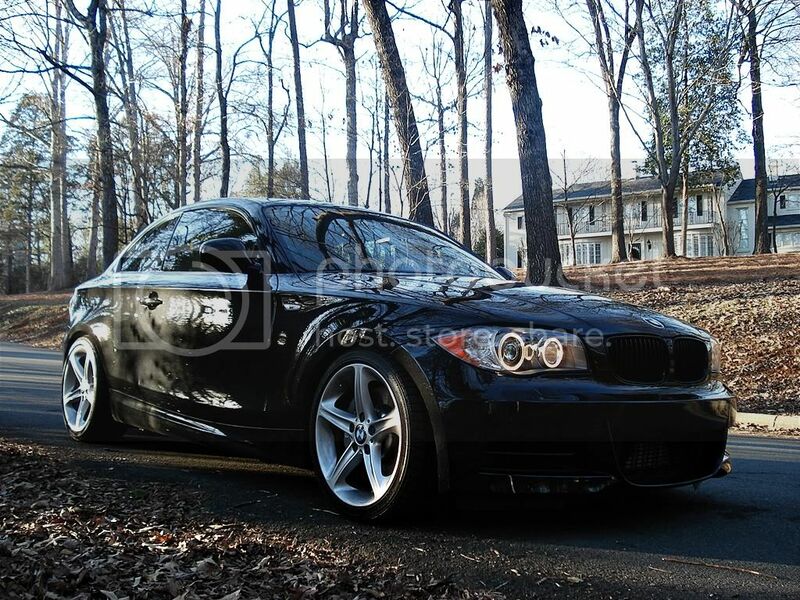 Should look even better after a drop on Eibach Pro-Kit springs. 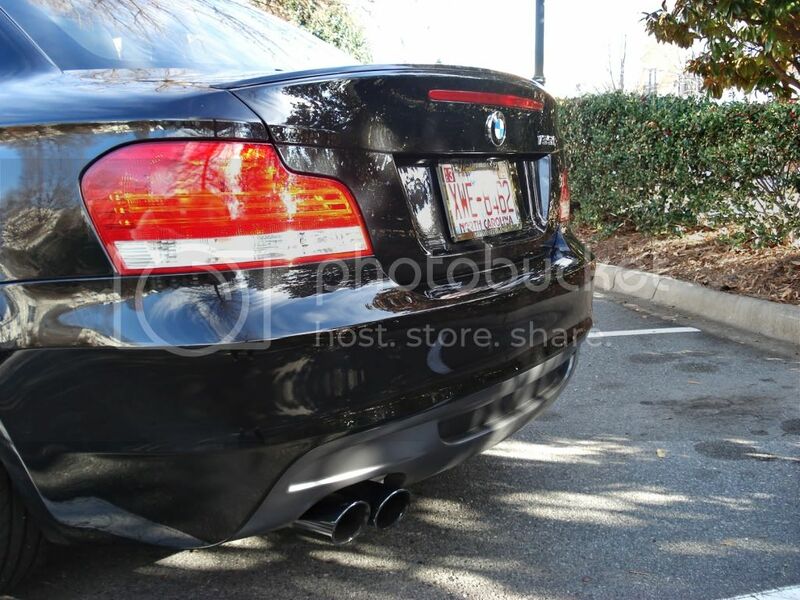 I also plan on installing the BMW Performance Exhaust system. Pics after a quick hand wash.
To show stance with wheel spacers. 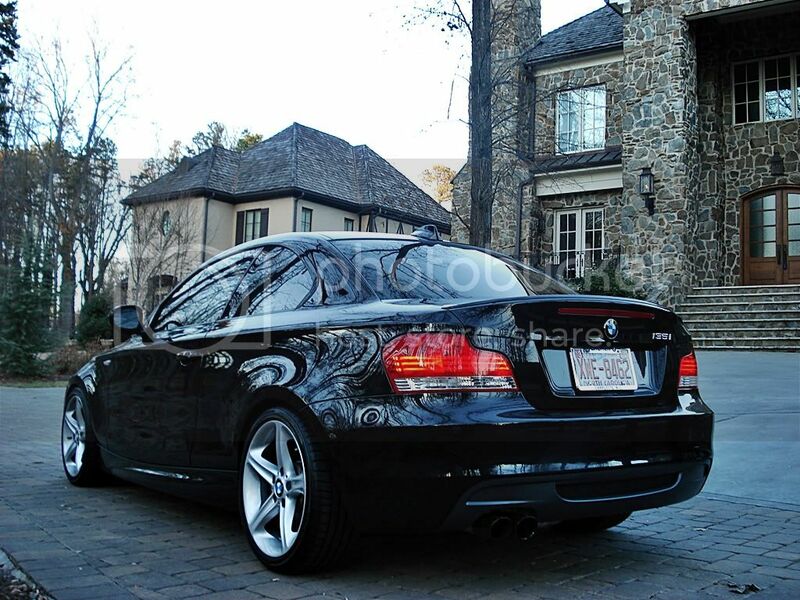 Beautiful car!!! I like the spacers!!! I am jealous though and not for the car! I don't see any white stuff in the pictures! Snow or Salt!! It is about 0 degrees right now. Post more pics once you get the spring kit on!! Congrats. Very nice looking ride you have there. 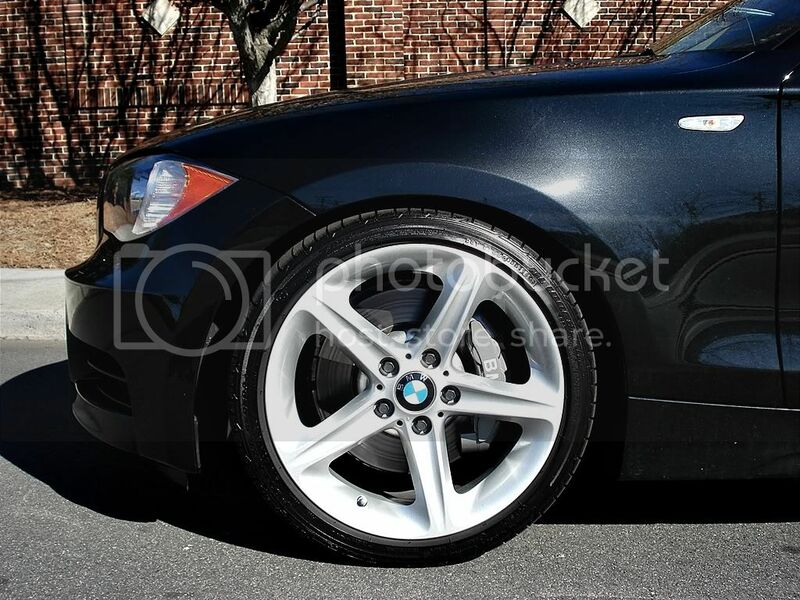 Like the look with the spacers, have you noticed any difference in the ride after the spacers? Thanks man! Will do. Suspension is going on this week! You really can't beat the Charlotte weather. Absolutely no steering wheel shake or wobble at any speed! These spacers are nicely designed and look great in black. 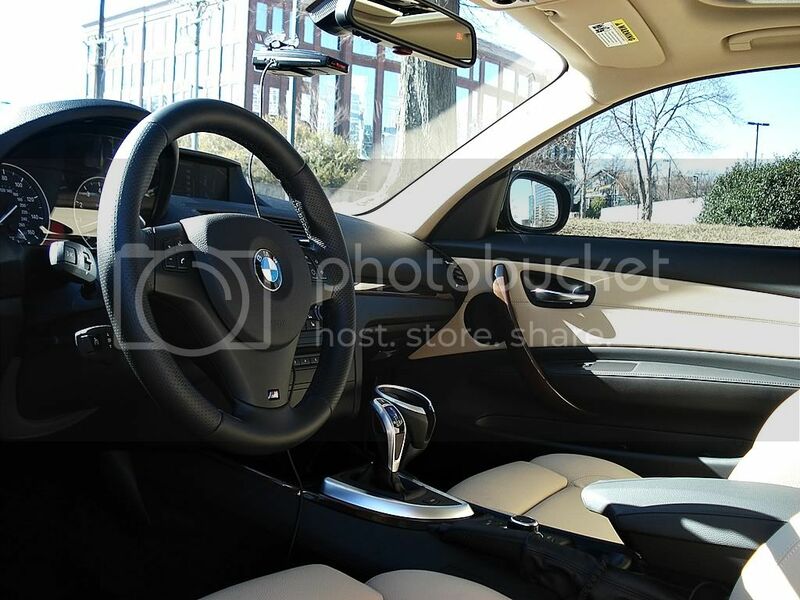 The car feels more stable going around sharp corners and expressway ramps. I'm going to take a trip up to the Blue Ridge Parkway in N. Carolina after I install my Eibach Pro-Kit springs and Koni FSD shocks. I'm anxious to see how the car feels around mountain curves and sweepers. 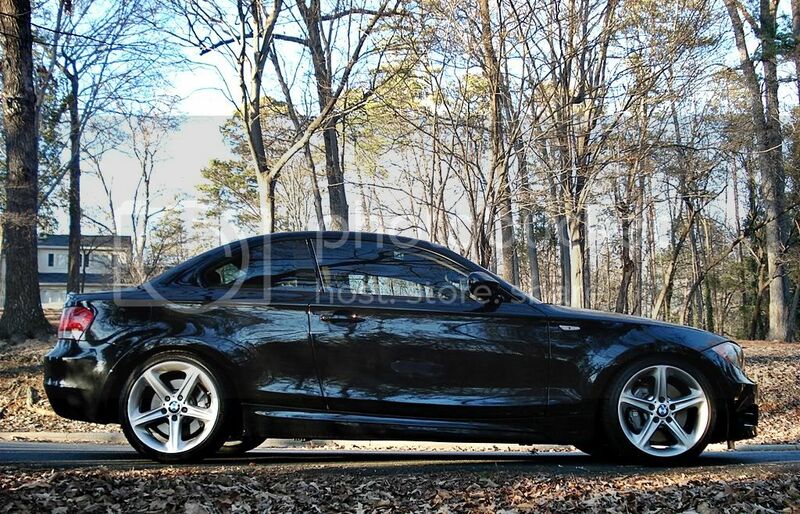 The RFT tires are not the best for grip, and I imagine changing them, like my last BMW, will improve overall handling. 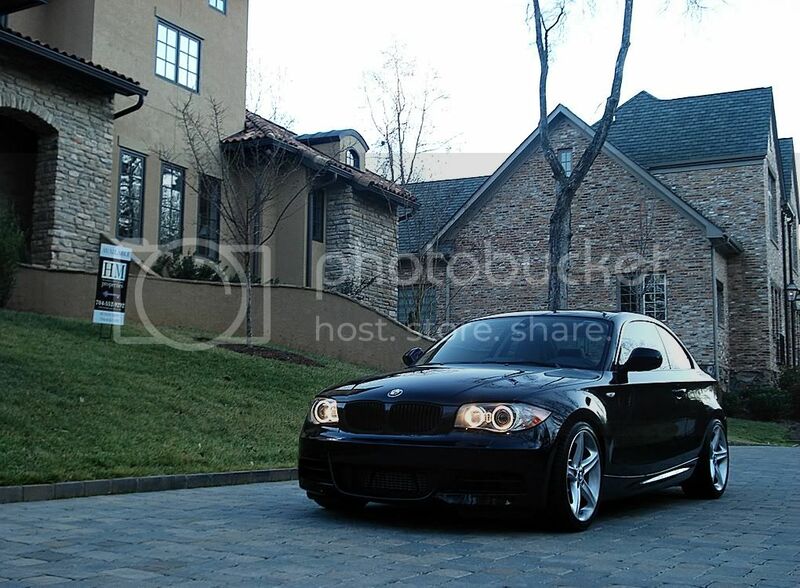 I may also upgrade the sway bars to the E93 M3 convertible set (28mm F 23mm F). Stock is 26mm front (with 19mm middle), 12mm rear. I recommend these Macht Schnell spacers to the 1addicts community. Oh, and the more aggressive looking stance is the cherry on top. How long did it take you to apply the spacers? Need any tools other than a jack? Pretty simple - takes about 30-45 minutes to install. You can find most of the tools from Bav Auto, Craftsman, or Harbor Freight. I like running either Rogue Engineernig or Macht Schnell Spacers because they include extended lug bolts. beautiful. 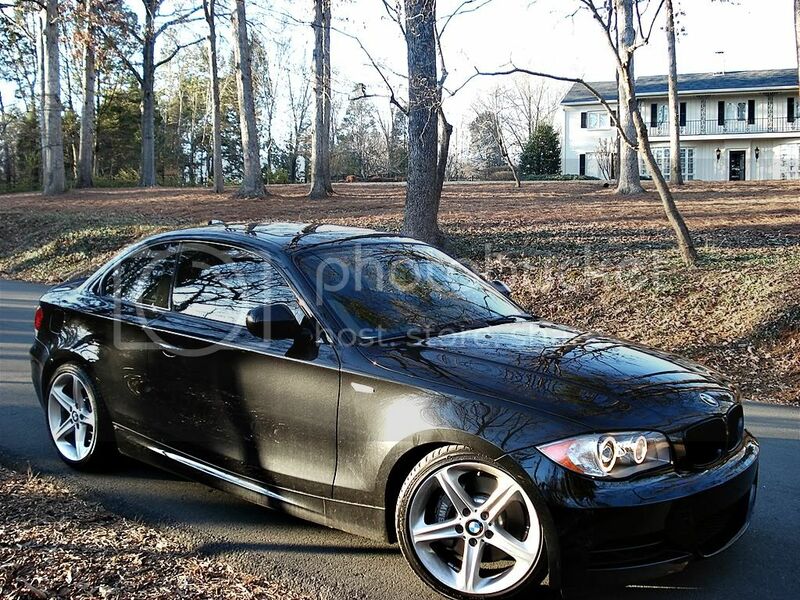 I love the 135, had one as a loaner from the dealer--damn that thing moves! Thanks gentleman! Installed the suspension last Thursday. 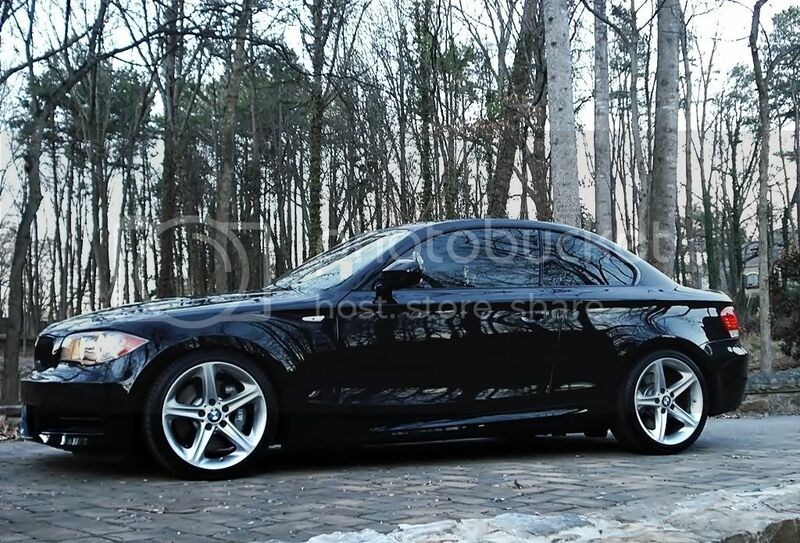 Koni FSD shocks and Eibach Pro-Kit springs. Handling feels great and I love the aggressive stance. No rubbing at all with the Oem wheel/tire set up. Should have some like this from Germany. 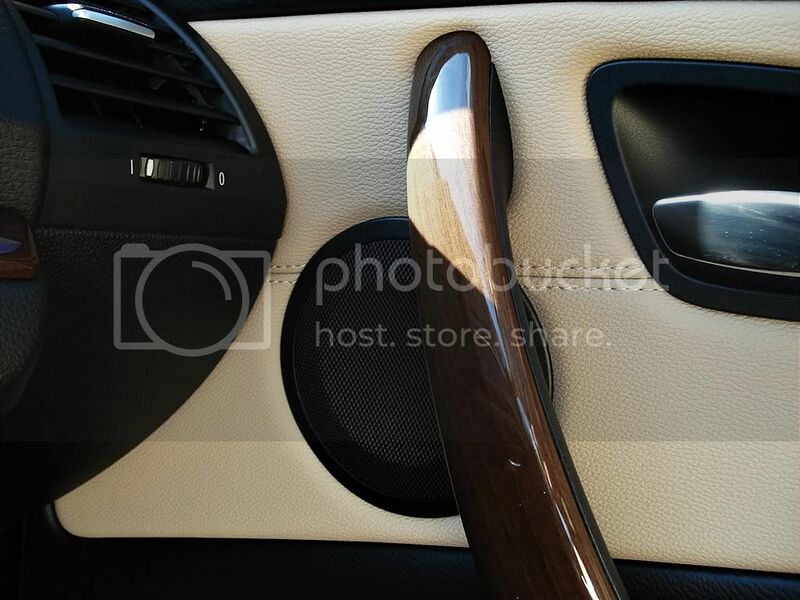 Interior is Savannah Beige Boston Leather with Light Burl Walnut wood trim. Really pleased with how it turned out. 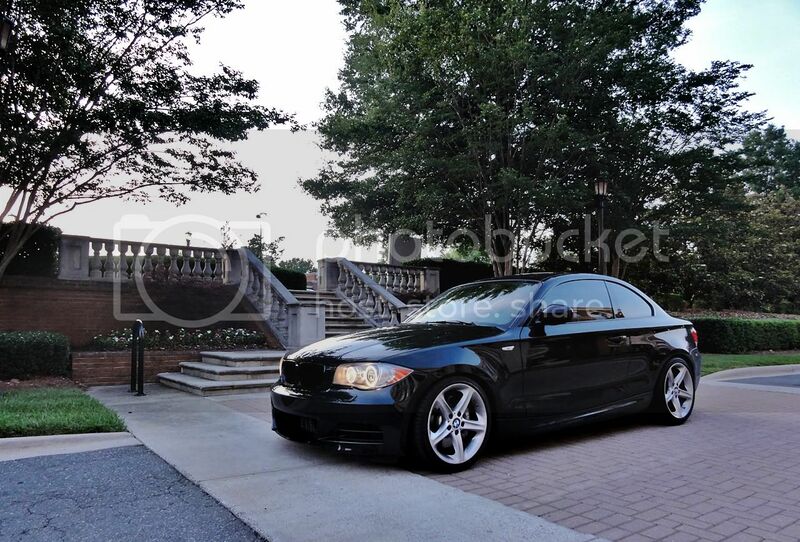 I may still do the BMW Performance Exhaust and E93 M3 sway bars. 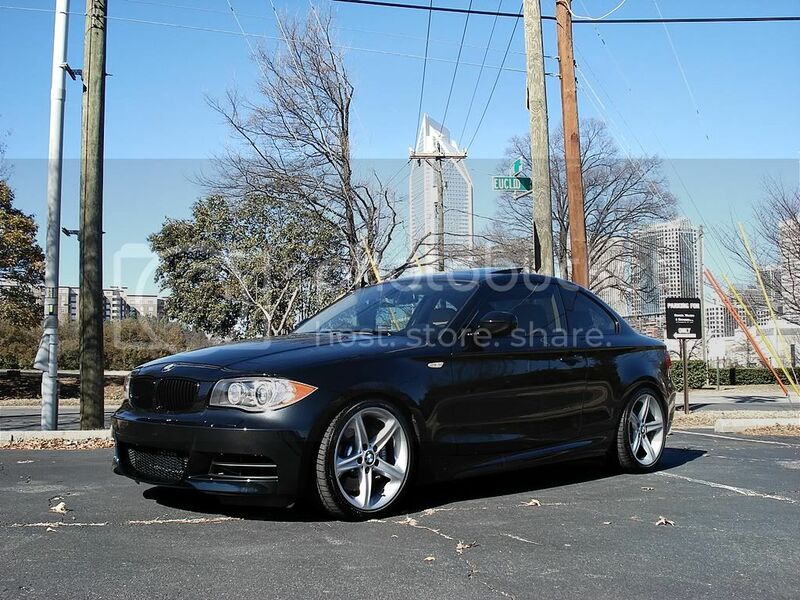 Took some pics near my home in Uptown Charlotte and on a mountain drive with my wife. Uptown Charlotte. You can see the NASCAR Hall of Fame building in the background. Some more pics during a drive this weekend. Car got a little dirty. Nice pics! "Near your house"..... if those pics are in _front_ of your house, and you, oh, need to adopt, or need a legal heir, feel free to write me into the will! Go ahead, write Satch in too while you're at it! Black is a nice color for a 1... lookin' good! Great pics!!! You can write me in too! Little dirty, my blue truck is currently brown and white from dirt and salt. Haven't driven a BMW in a couple weeks now. I am so ready for spring! This post is only making the feeling stronger. I really like improved stance, the black looks great! It really fills the wheels wells better and makes for much more aggressive look. I would like to hear what you think of the performance exhaust if you go with that. 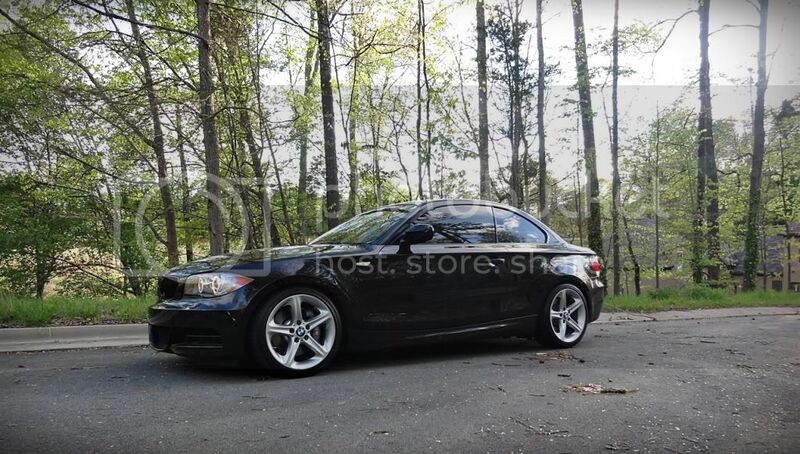 I'm considering going with that exhaust but would like hear your impressions (sound & performance). Thanks! Consider it done. You guys are in. Thanks man! I hope you get to enjoy your Bimmer soon. Thanks! 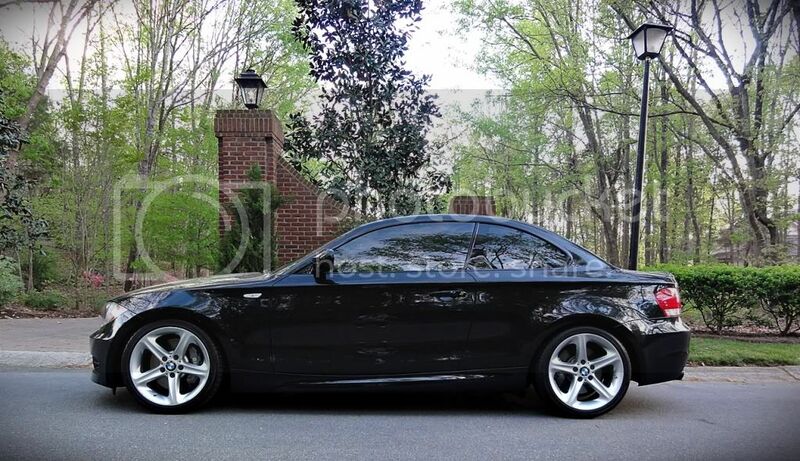 I observed your avatar and judging by the pic, you own a nice 1er with BMW Performance Style 269 wheels. I think the 1er looks pretty good in several colors; black, white, silver, grey, and even red. 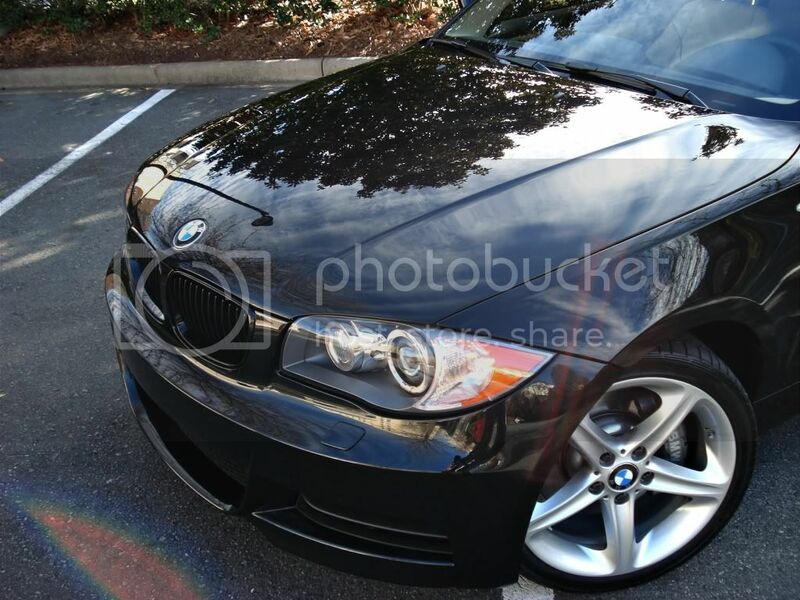 I'm just a sucker for a clean, shiny black Bimmer. 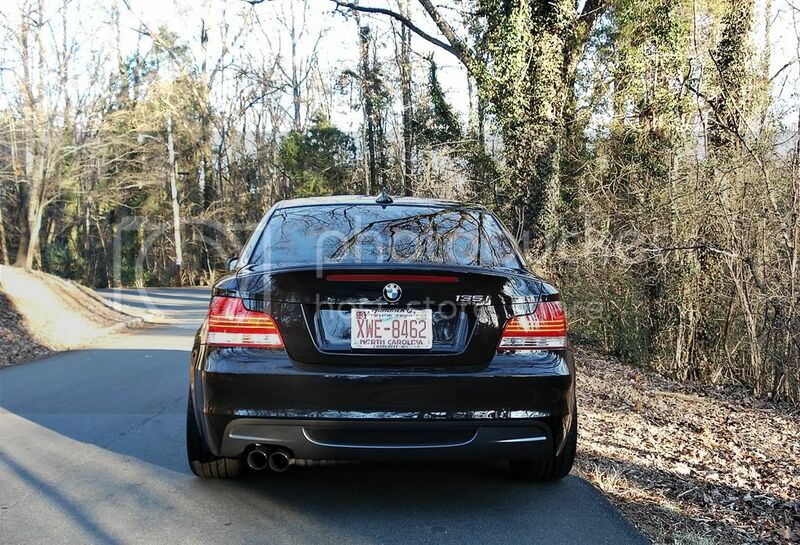 I had the BMW Performance Exhaust installed on my previous 08 328i E90. I was very pleased with the sound. It had a nice sporty growl from the outside - all while being nice and civil in the cabin. 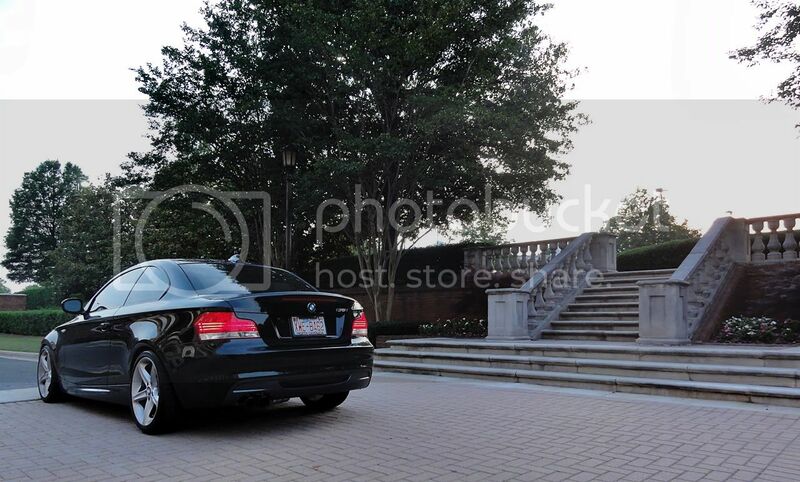 It was no louder than a stock 335i IMO. Performance gains were minimal with just the exhaust. I noticed more of an improvement in throttle response and acceleration after I installed the Dinan cold air intake for the N52 engine. 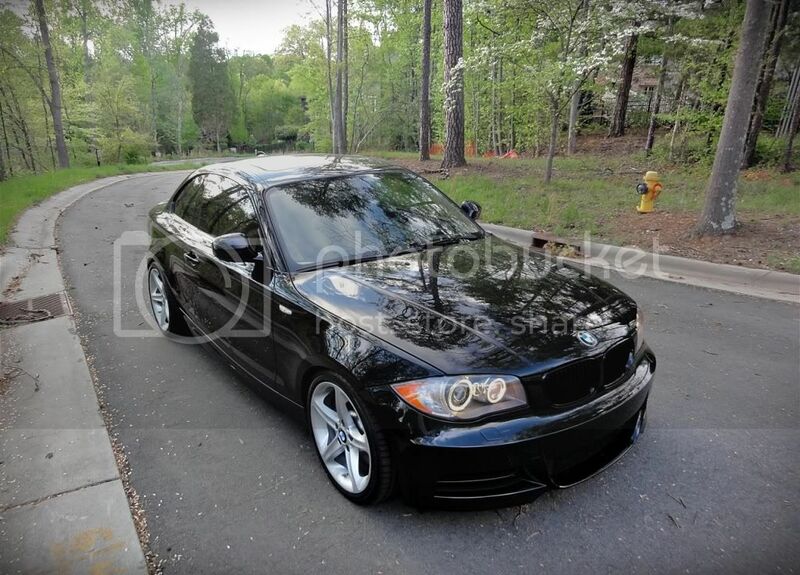 I have a feeling the Performance exhaust for my 135i (N55) will sound wonderful and be just what I'm looking for. 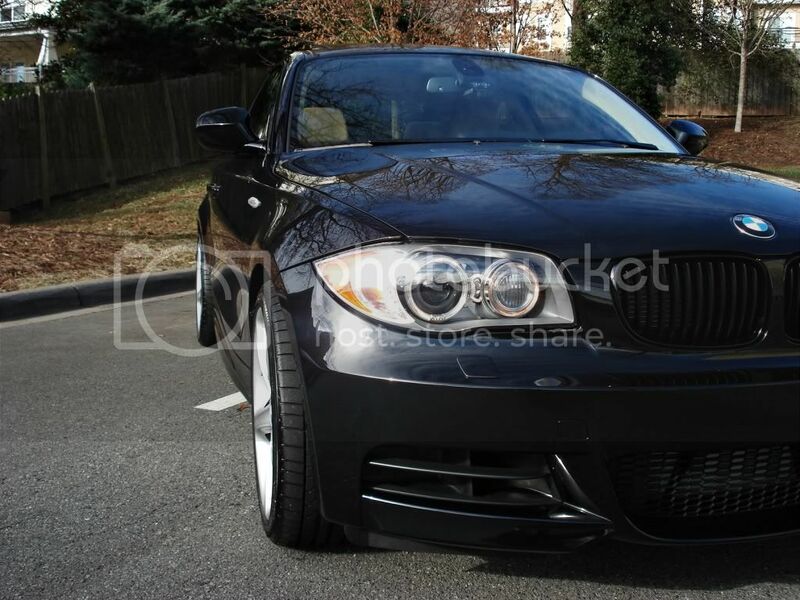 Although the stock exhaust with the N55 engine sounds pretty decent to begin with. 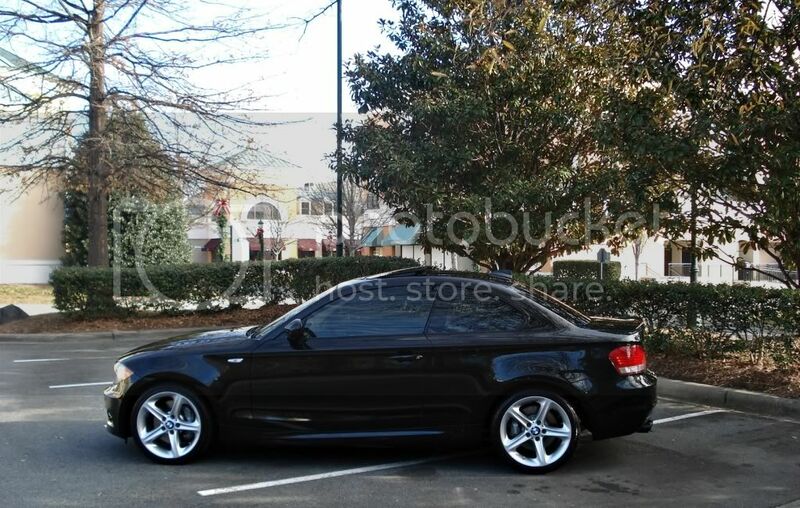 I'm also considering the Rogue Engineering Exhaust system as an alternate choice. I'll be sure to report back when and if I decide to install an exhaust. 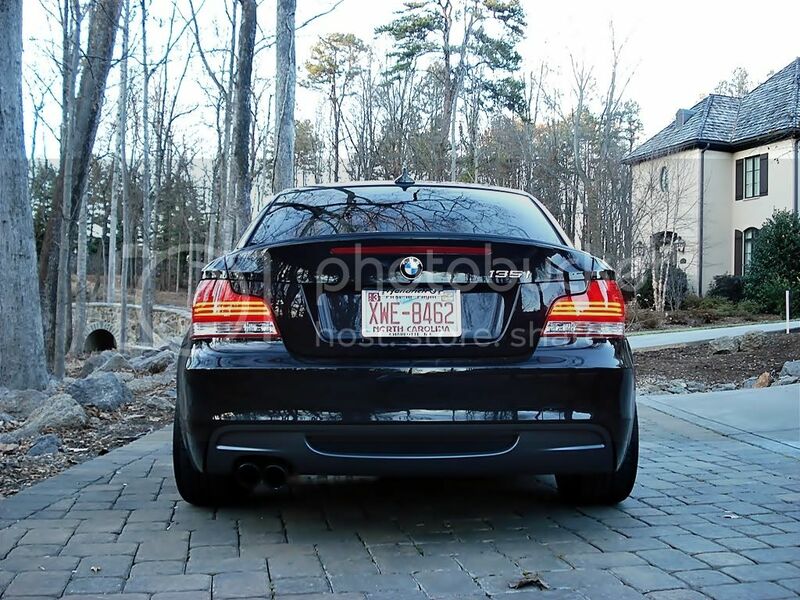 Here's the BMW Performance Exhaust on a N54 135i. Love the exhaust note! And, here's the Rogue Engineering Exhaust. RE is a great company with race tested products. 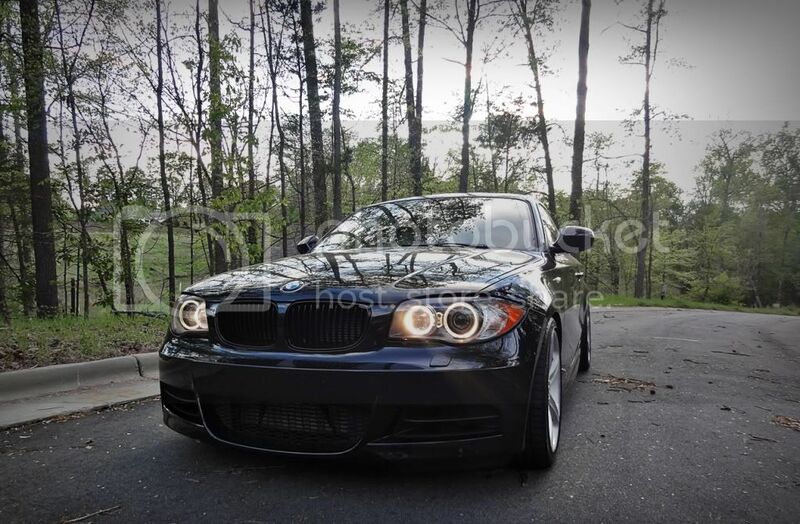 Yes, proud owner of an 09 135i. 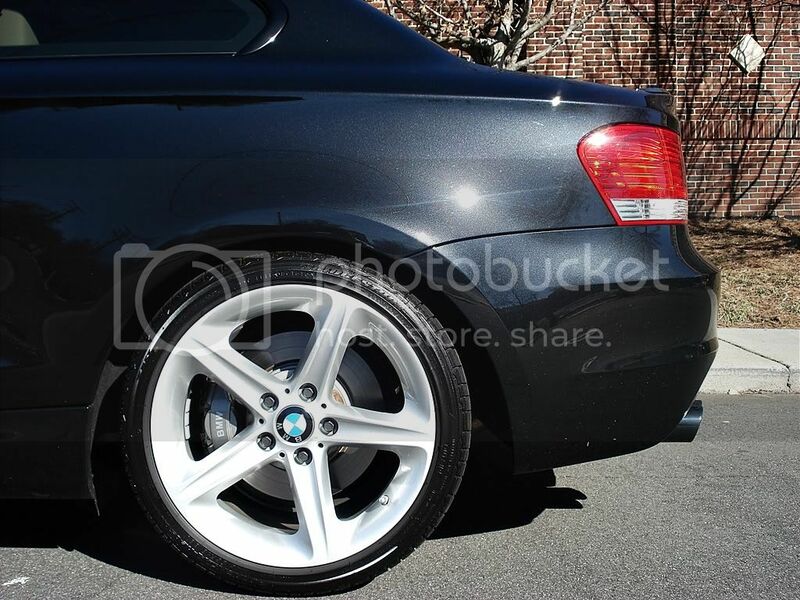 I really liked the 269 rims so they were a must have when I bought the car. I worked them in with the vehicle price and the trade. They were still pricey but I,m happy with them. 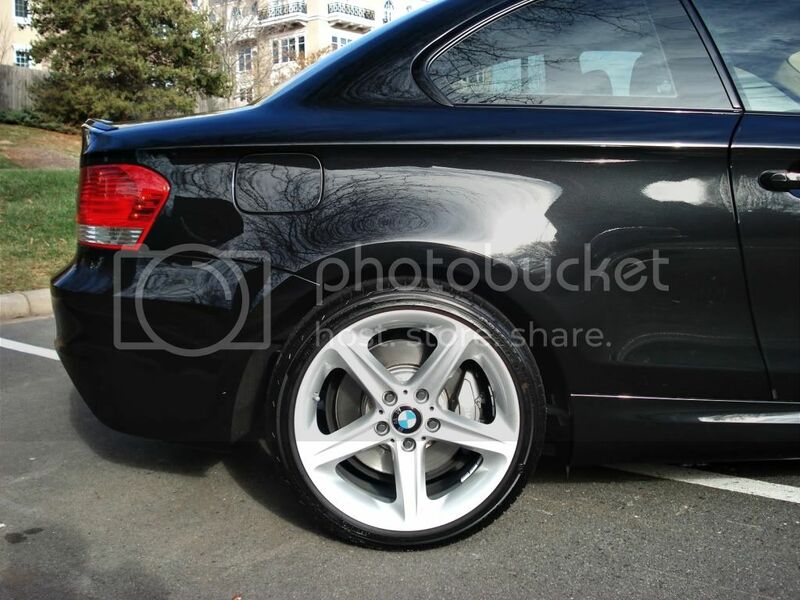 I must say they are some work to keep clean but luckily the finish is pretty forgiving on showing the brake dust. 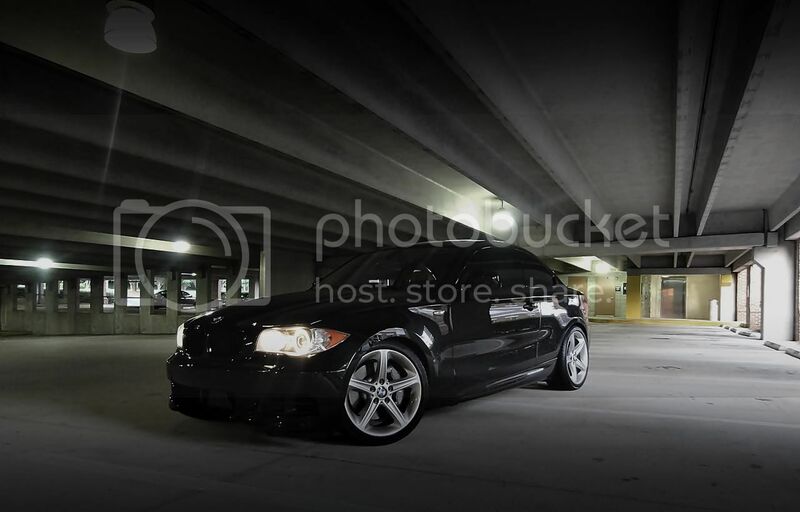 I really would like to shorten that ride height and widen the stance like you've done. Very nice. I drove this one and a 10 with DCT and thought the exhaust note was much more aggressive on the 10. I loved the DCT too. I chose the 09 because the price discount on the used car was pretty deep and I thought I might to spend that money on upgrading or possibly on the 1M in 11 or 12. Thanks for input and the links, I'll post some sound if I upgrade. 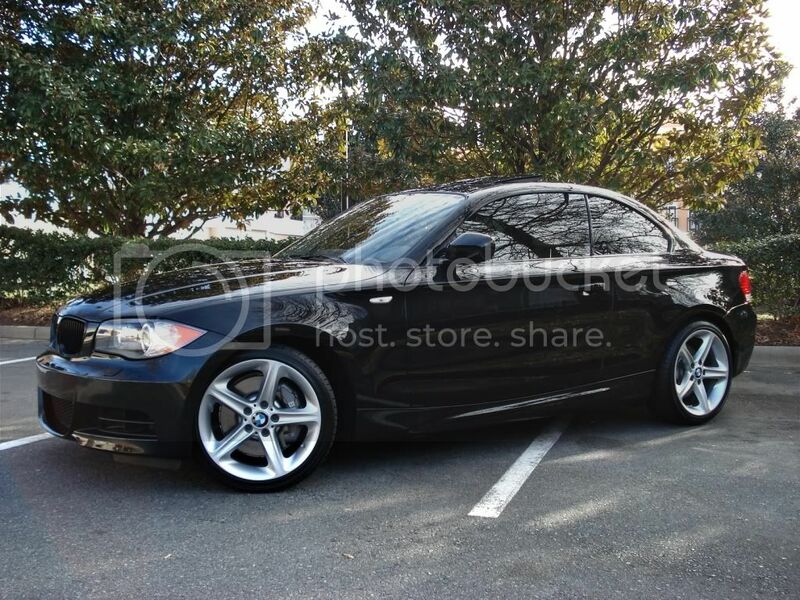 Considering BMW performance, Dinan, or Berk. 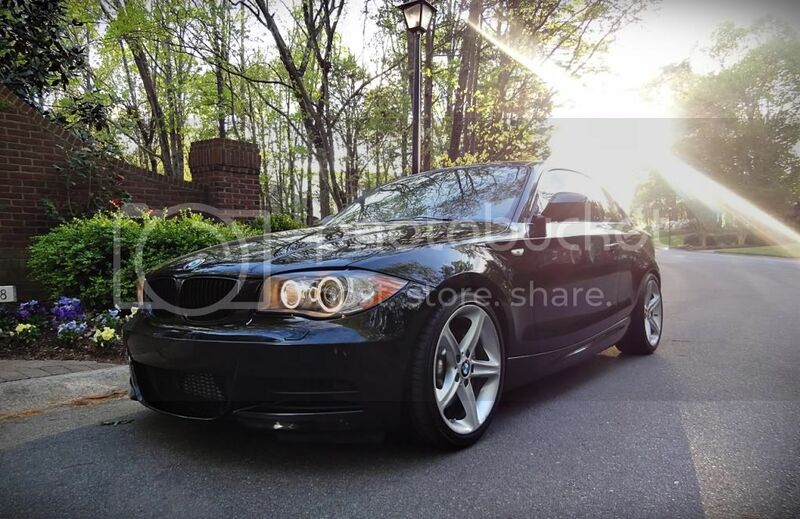 Took some more photos today after a wash. We had great weather in Charlotte. Sorry to rub in. 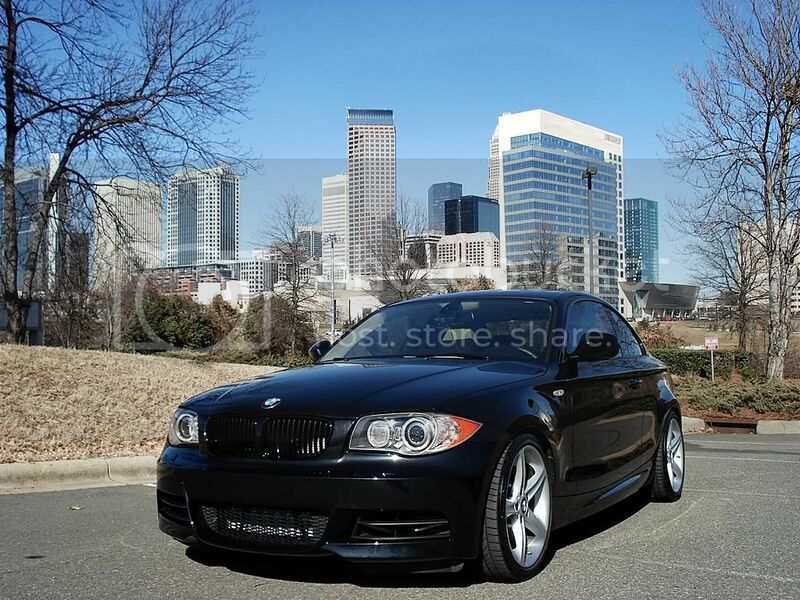 Looking forward to M school at Spartanburg and mountain drives with the local BMW group. Couple pics from a BMW meet and mountain drive through Pisgah National forest on the Diamondback Route in Western North Carolina. We had a blast, and the 135i was stellar in the twisties. 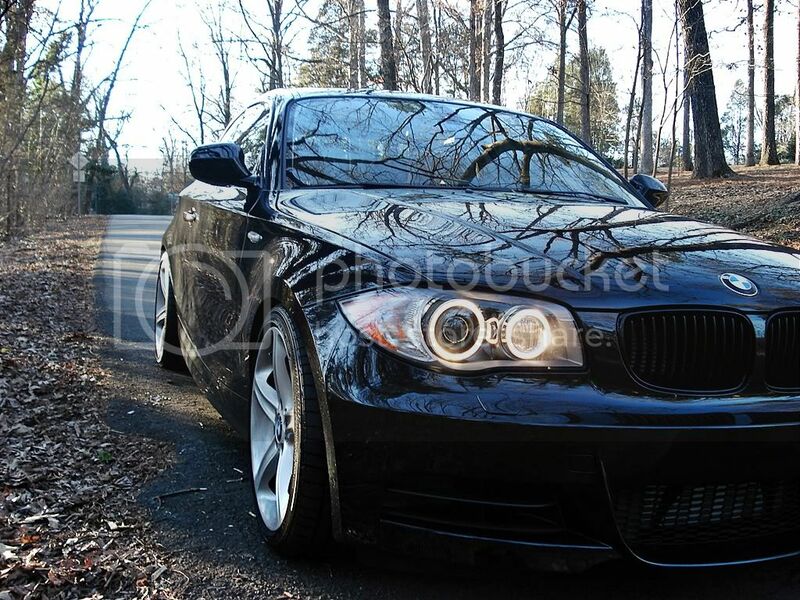 The N55 I-6 turbo and DCT are a nicely matched. Have about 2300 miles on the clock. Really enjoying the 1er. Took some more shots over the last couple weeks. Golly, that's pretty. I'd be jealous if I didn't have one myself. 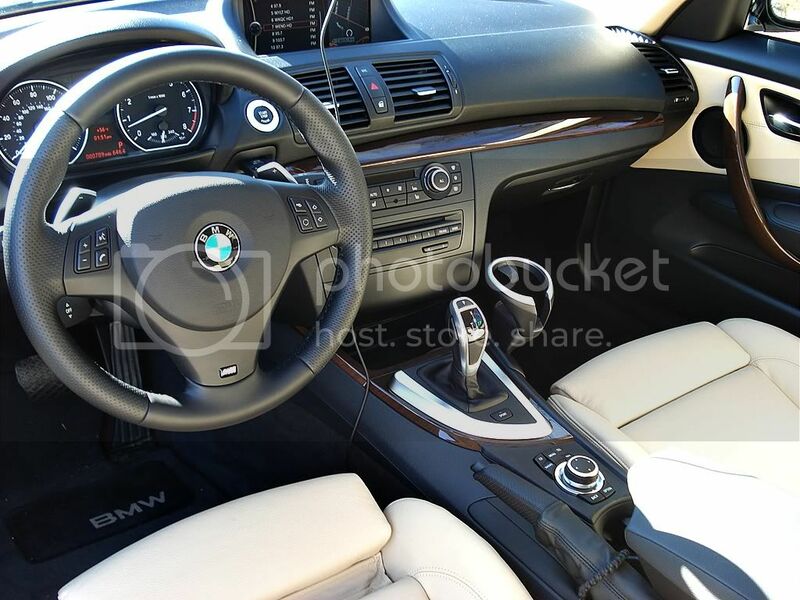 We went in to buy a 335i convertible and after driving the 135i, it was like WOW. Sunday, I let my Porsche buddy drive the 1 and the expression on his face...damn where's that camera when I need it. He was amazed and then...he started asking questions, all of them. Ours is Crimson Red, (Arrest Me Red), and I'm trimming it out in black. As it's got the black out treatment from the M-Package, I put some OZ graphite colored wheels and blacked out the kidney grill. Hey, next week we'll be HPDE at Autobahn here in Chicago. I can't wait.